David Ball specialises in scholarly publishing, e-books, virtual learning environments, design and management of academic libraries. As University Librarian and Head of Academic Development Services at Bournemouth University from 1994 to 2012, he created a vibrant library service, winning two major national awards: in 2007 the prestigious quinquennial SCONUL Library Design Award, and in 2009 the Times Higher Education Leadership and Management Awards for Outstanding Library Team. Previous experience includes the private sector, as information manager for a major newspaper publisher, where he was responsible for transforming a cuttings library into a full-text electronic archive. Whilst at Bournemouth, he moved the Library to be chiefly electronic in delivery, both for research, through e-journals, and for teaching, pioneering the integration of library resources into the virtual learning environment (VLE). He also has a particularly strong record in the field of library purchasing, having led innovative national and regional tenders for e-books, books and journals, chairing national and regional library procurement organisations in higher education. 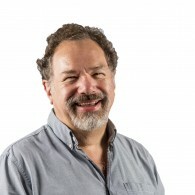 David has served as a member of various national bodies, such as the Board of SCONUL, creating its Academic Content and Communication Strategy Group, the UK’s Open Access Implementation Group and Jisc’s Electronic Information Resources Working Group. He is currently Secretary of the UK Electronic Information Group. He has a strong record in leading research and digitisation projects, such as the HLF-funded Streets of Bournemouth and the NOF-funded Dorset Coast Digital Archive. Recent projects include research in the area of open access publishing for Public Library of Science (PLOS) and the Berlin-Brandenburgische Akademie der Wissenschaften and a library review for City University London.